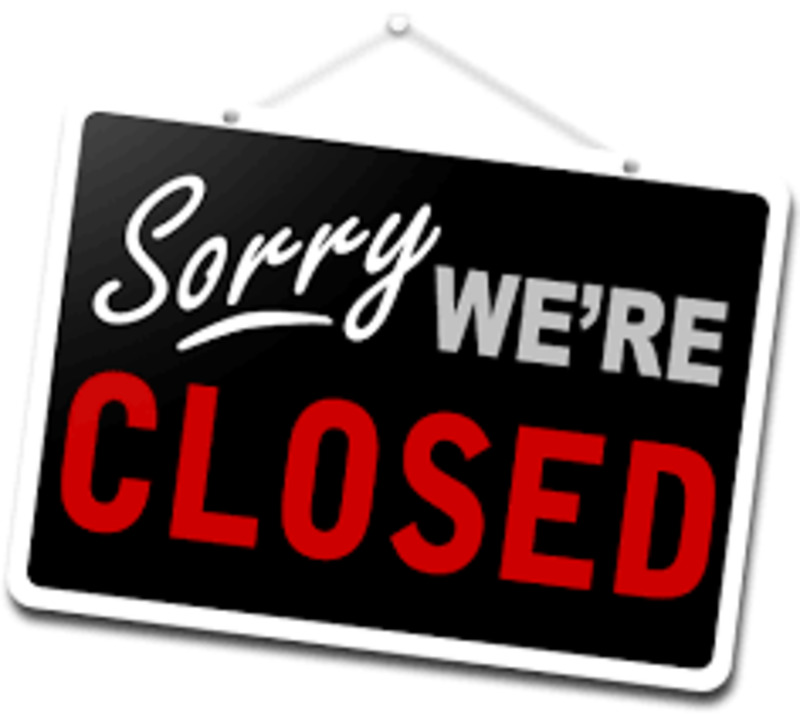 The Jasper City Office will be CLOSED on Friday, April 19 in observance of the Good Friday holiday. The Yard Waste site will remain open over the weekend. As a reminder, this area is under 24/7 surveillance. The City of Jasper Public Works Department will begin picking up large branches/limbs that are easily assessible from the road. The tractor will not drive on the boulevard, If your vehicle is parked in front of a downed tree, please move it ASAP. EDITED TO ADD: This free pickup is for storm damage ONLY! Please do not take advantage of this situation. The City of Jasper will complete branch pickup April 22-26. Please position branches parallel to the street. Yard waste tags are not required this time. The yard waste site located north of the ballfields will be OPEN for the week. Please take advantage of this. ALL RULES STILL APPLY! The Public Works Department will be completing branch pickup the week of April 22. More details to come! With the weather warming up and the frost lines lowering, the City of Jasper is putting an end to the run water notice. THINK SPRING! The City of Jasper is requesting all residents discharge their sump pumps into the street. DO NOT discharge into the sewer sanitary system. The Public Works Dept. 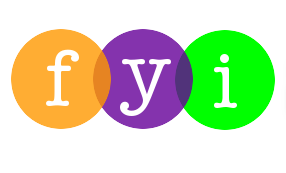 will be completing inspections tomorrow morning (4-8-19) beginning at 8:00 a.m. Those who are not compliant with this request are subject to a fine. If/when the city declares a snow emergency you MUST have your vehicles off the street or risk receiving a ticket or tow charge. Both Pipestone and Rock Counties are in a Winter Storm Watch from Saturday morning through Sunday afternoon. Please plan accordingly and get your vehicles off the streets. UNTIL FURTHER NOTICE all utility customers of the City of Jasper are advised to run their water to prevent lines from freezing. A stream of water the size of a pencil should be ran continuously. The City will inform you when you can stop. 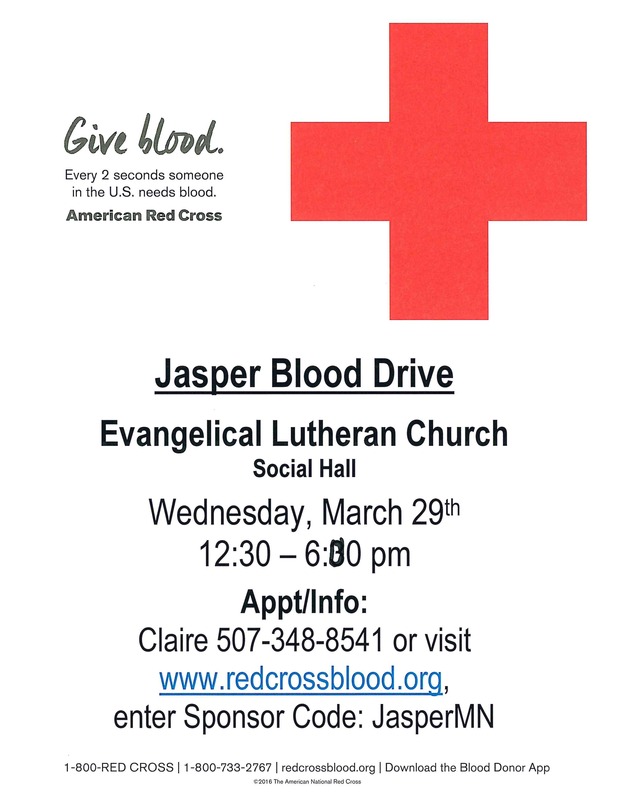 Questions can be directed to the Jasper City Office at 507-348-3701. The City of Jasper will start plowing at 2:00 p.m. today. Please remove your vehicles from the street. KEEP YOUR VEHICLES OFF OF THE STREET! Attention Jasper Residents: KEEP YOUR VEHICLES OFF OF THE STREET! We are going to have to make several passes to get this snow cleared. Thank you for your cooperation! 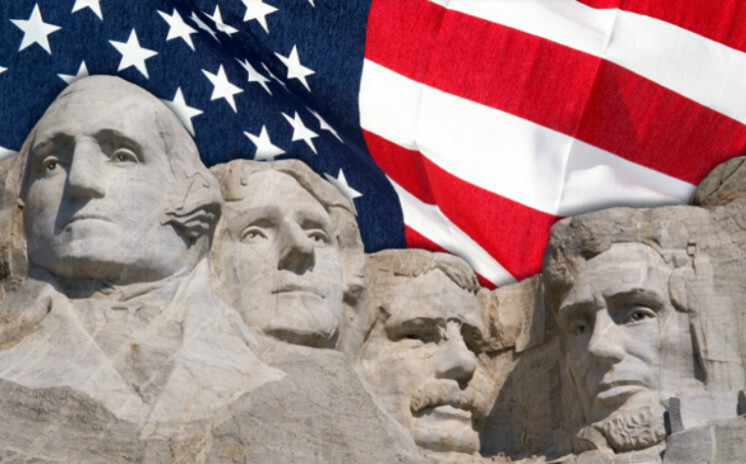 The Jasper City Office will be CLOSED on Monday, February 18, 2019 in observance of Presidents Day. Garbage collection & recycling will remain as scheduled. Sign up for Public Alert! The City of Jasper has implemented a new messaging platform to better communicate with residents and businesses. We are excited to partner with Public Alert to offer residents and businesses a self-service way to receive notifications and alerts. These alerts will include snow emergencies, water main breaks, etc. To sign up for the alerts, simply go to public-alert.com, click on sign in and click email form for residential info. You may also contact the City Office by calling 507-348-3701 to sign up. Snow Emergency! Remove vehicles from streets by 4:00 p.m. Subject to ticket/tow. Just a reminder: If/when the city declares a snow emergency you must have your vehicles off the street or risk receiving a ticket or tow charge. Both Pipestone and Rock Counties are in a Winter Weather Advisory until midnight tonight 1/18/19. Please plan accordingly and get your vehicles off the streets. In observance of Martin Luther King Jr. Day, the Jasper City Office will be CLOSED on Monday, January 21. Attention Jasper Residents: Due to the recent holiday, garbage will be picked up on Friday, January 4. Please have your container to the curb by 5:00 a.m. Friday. There will be no recycling this week. Attention Jasper Residents: Snow Emergency. Remove vehicles from the streets by 4:00 p.m. Subject to ticket/tow. Please be on the lookout for a set of lost keys. The key chain has a blue metal belt hook and a metal tag with the words Deacon inscribed. Please turn into the City Office if found. The City of Jasper will be picking up Christmas Trees on Monday, January 7, 2019. 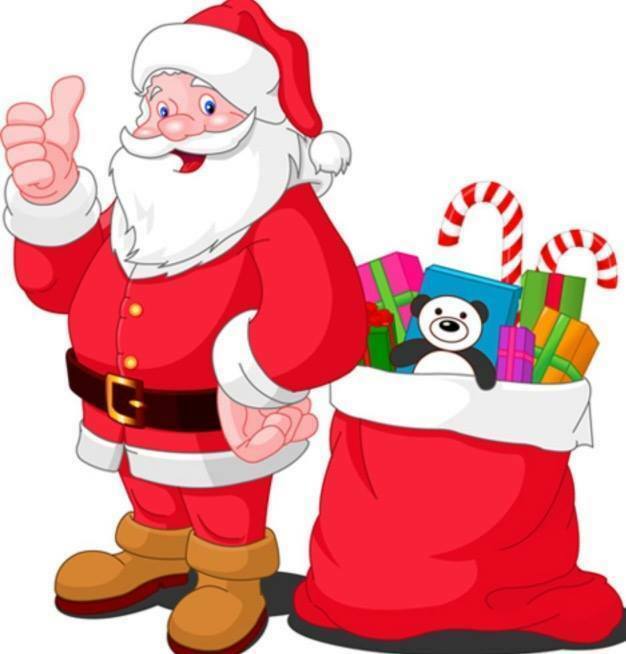 Please place your trees at the curb by 7:00 a.m.
***Please Note*** Christmas Trees must have all decorations removed and cannot be in a plastic bag. REMINDER: With the impending winter storm, we would like to remind residents to remove your vehicles, boats and trailers from the streets. 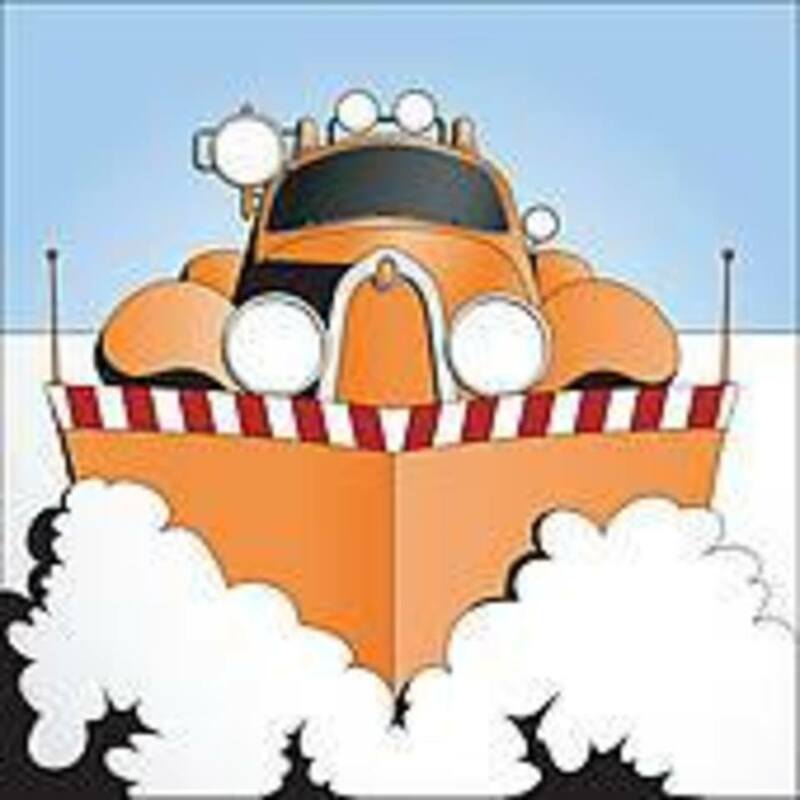 Vehicles, boats and trailers left on the roadway after the City declares a snow emergency, will be ticketed and/or towed at the owner's expense. Take the time now to remove the vehicles before the storm hits. The Jasper City Office will be CLOSED on Christmas Eve & Christmas Day. Please enjoy the holiday! Single Stream Recycling begins December 13, 2018! Please have your recycling tote to the curb by 5 a.m. Van Dyke Sanitation will be collecting all recyclables. 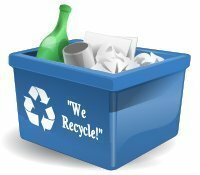 Recycling questions can be referred to them at 507-442-7241. Please do your best to keep unwanted items out of your recycling tote. It is important that you read through the materials that were included with your container. If your recycling container is contaminated it will be identified with an orange sticker and may not be emptied until the problem is resolved. WHEN IN DOUBT, KEEP IT OUT! 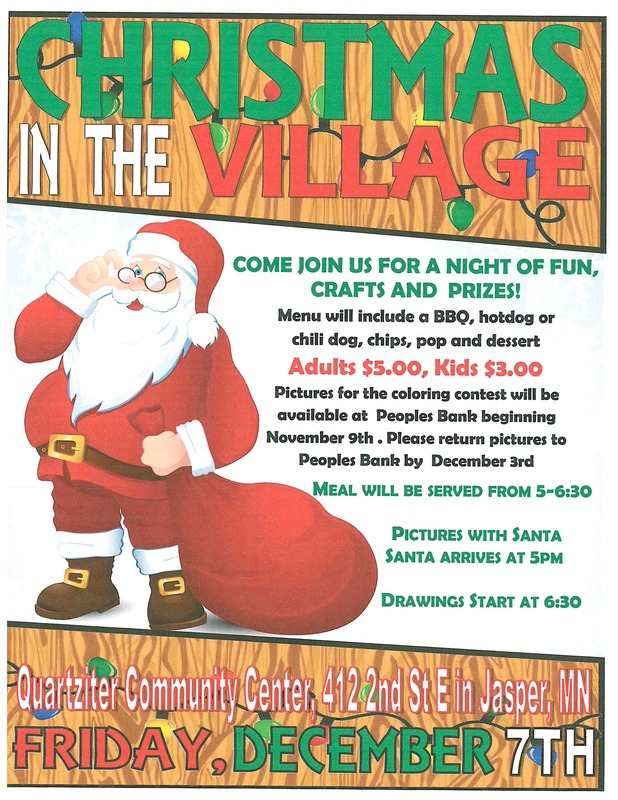 Join the Jasper Development Corp-Retail Committee for a night of fun crafts, prizes and food! Snow = Move Your Vehicles! With the upcoming snow storm we want to remind all residents to move vehicles, trailers, etc. 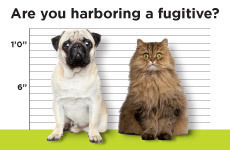 from the streets or face the possibility of getting a citation or your vehicle towed AT YOUR EXPENSE. As Single Stream Recycling begins, we ask that you please do your best to keep unwanted items out of your Recycling Container! It is important that you read through the materials that were included with your container. If your recycling container is contaminated it will be identified with an orange sticker (as shown) and may not be emptied until the problem is resolved. The City of Jasper has extra greenery available for purchase for anyone interested. Please contact the City Office at 348-3701 and we will deliver it to your home! The Jasper Stone Quarry will begin crushing rock in December. If you hear loud/strange noises, don't be alarmed. The Jasper City Council will canvas the votes from the municipal election on Tuesday, November 13, 2018 @ 6:45 p.m. at the Jasper City Office. The public is welcome to attend. Voting will take place in the downstairs of Memorial Hall located at 101 Sherman Avenue North. Polls will be from 7:00 a.m. to 8:00 p.m.
Mike Baustian is running for Mayor while Jeff Leslie and Dee Arp are running for the two available Council seats. Pipestone County will be mailing out a letter to all city residents (including Rock County) regarding the new Recycling program. The purpose of this letter will be to notify residents that they will be receiving a new Recycling Cart, provide information on the new program, and will also include a Recycling schedule which states when Jasper's collection day will be. 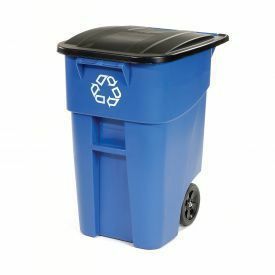 A vendor will be delivering the 96 Gallon Recycling Carts November 12 through November 30 to each City residence. The new Recycling program will begin the first week of December. Van Dyke Sanitation will be collecting all recyclables; Recycling Questions can be referred to them at 507-442-7241. 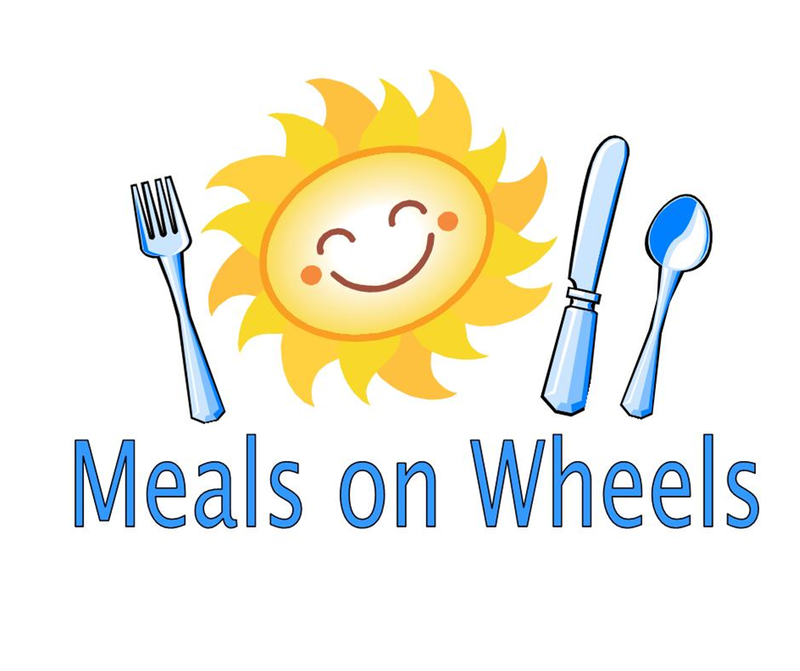 The Meals on Wheels Program is looking for volunteers to deliver meals around Jasper in December & January. If you would be interested, please contact Sarah at 866-974-0283. 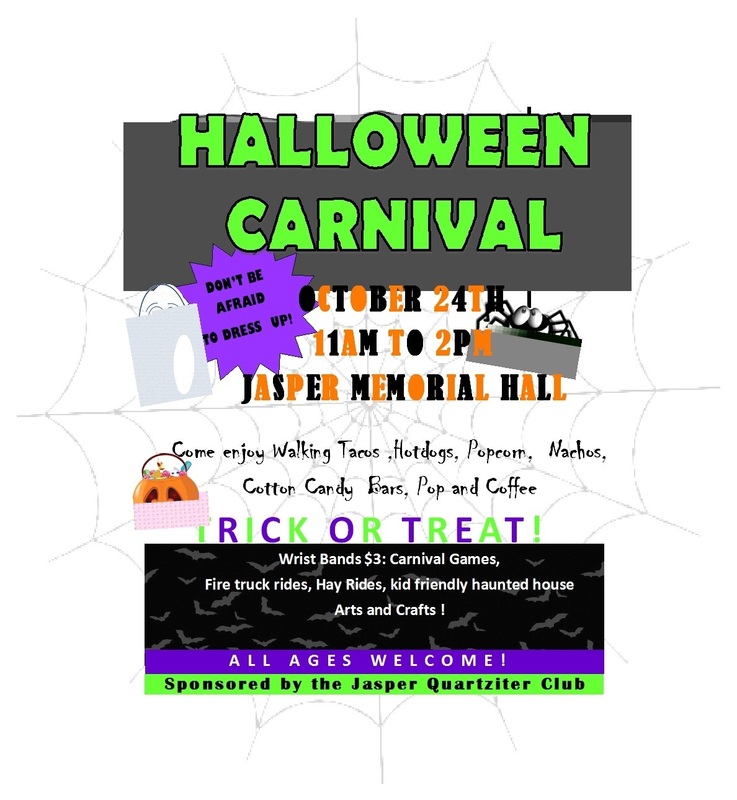 The Jasper Quartziter Club will be hosting their Halloween Trunk-or-Treat event on Saturday, October 27 beginning at 10 AM. This event is open to all participants. If you would be interested in "hosting" a trunk, please contact Maggie at (605) 553-1160 or Shannon at (507) 215-2241. The Jasper City Park Shelter has been winterized to prevent water lines from freezing. The Park Shelter will remain closed until spring. Sorry for any inconvenience this may cause. Please be aware when driving east or west on 2nd Street you must now stop at the Spicer Avenue intersection. Watch for signs and obey the law. Leaf Pickup will begin Monday, October 22, 2018. Please follow the rules to participate. Did you know the City of Jasper has a curfew? Section 9.13, Subd. 2. of the City Ordinance prohibits any minor to be on or loitering on the streets or public places between the hours of 10:00 p.m. and 5:00 a.m. of the following day, unless accompanied by a person of lawful age who is responsible for the minor. Please make sure your children are home by 10:00 p.m. and not in violation of the City Ordinance. 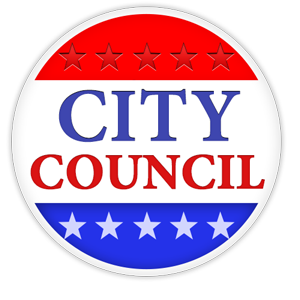 Have you ever considered running for City Council? Now is your chance! Filing date opens July 31, 2018 & closes August 14, 2018 @ 5:00 p.m. 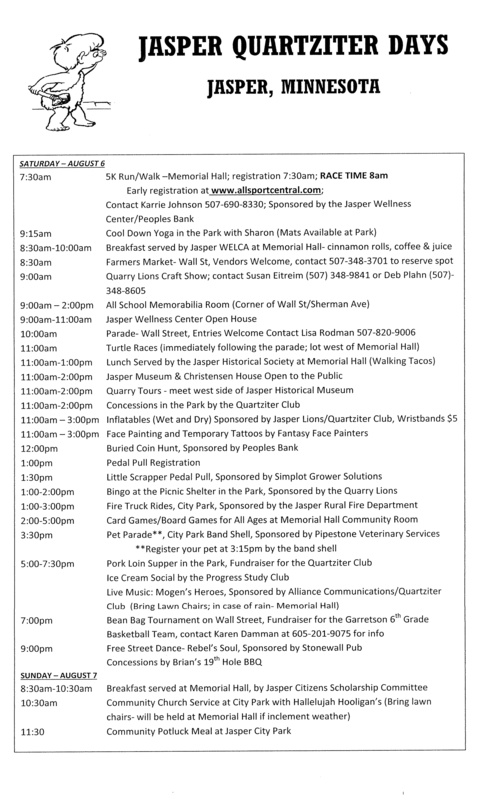 The Jasper Ambulance Association will be holding a Fundraiser on Friday, August 17 from 5:00 p.m. to 7:00 p.m. at the Jasper City Park. Inclement Weather: Jasper Memorial Hall. Menu includes: Grilled Pork Loin Sandwiches, Buns, Potato Salad, Beans, Applesauce, Ice Cream, Pop & Water. 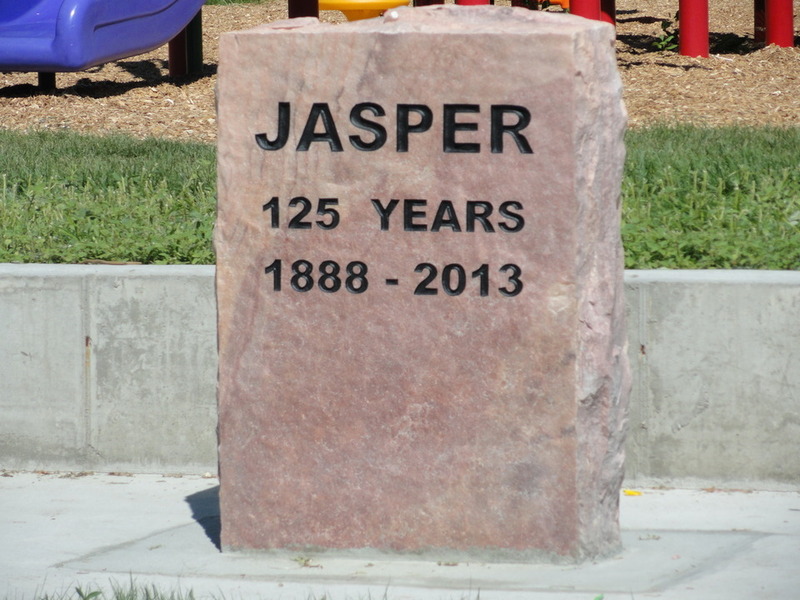 The City of Jasper is working to beautify the city before the All-School Reunion. One of the projects we are working on is establishing flower pots to adorn the street, parks and other public areas. We are currently looking for individuals, businesses or organizations to "adopt a pot". Individuals may also choose to honor or sponsor a pot in memory of a loved one. The city will supply the pots, dirt and plaque. Participants will be responsible for the flowers and maintaining them throughout the summer season. If you are interested, contact Cortney to obtain more information. We would like to see if their is enough interest before we purchase the pots. Pipestone Area School District has an opening on the newly formed Community Task Force for a Jasper Resident. The Community Task Force would review the school district’s facility needs and decide if a new school was needed and if so, where it could be built. If you would be interested in holding this seat or would like more information, contact the business office at Pipestone Area Schools at (507) 825-5861. Come to the City Office if you have an appliance that needs to be paid for ($15) & picked up. Also pay in advance for tire pickup, $3 each for car or pickup tires, $12-22 for larger tires, depending on size, $25 per mattress. MUST BE PAID IN ADVANCE! Jasper Spring Clean-up & Garbage Day! No GARBAGE ON THURSDAY, Van Dyke will do garbage on Friday, just put your tote in its regular spot! No construction debris. If you have a large amount of wood there will be roll-off dumpsters set in town (4th St. E & Poorbaugh, also at 4th St. W & Sherman Ave.) for wood, windows & doors. Roll-offs will be in town later this week. 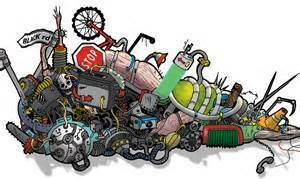 You may start placing junk at the curb this weekend in separate piles until 5 AM on Friday, May 11. If piles are mixed up, NONE of the junk will be removed! Come to the City office if you have an appliance that needs to be paid for ($15) & picked up. Also pay in advance for tire pickup, $3 each for car or pickup tires, $12-22 for larger tires, depending on size, $25 per mattress. Deliver Household Hazardous Wastes to Pipestone County Recycling Center – 718 4th St. NW. Collections are held every Wednesday from 7 am -1 pm. Questions call 825-6765. The City of Jasper is looking for an individual(s) to pull the city float in area parades this summer. Interested parties MUST have proper means to pull the float. Individuals will be COMPENSATED! A list of parades will be added once available. Interested parties are encouraged to contact Cortney at (507) 348-3701. 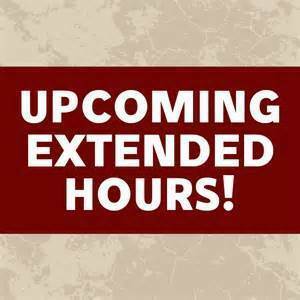 FYI: The City of Jasper has elected to end the extended hours on Thursday evenings due to not having enough participation to warrant the extended hours. Our regularly scheduled hours will be Monday through Friday, 10 a.m. to 12 p.m., 1 p.m. to 3 p.m. Thank you for your understanding! The All School Reunion is scheduled for July 27-29, 2018. Stay tuned for more information! The Jasper Senior Nutrition Program is looking for additional drivers to deliver hot nutritious meals to seniors residing in Jasper. Drivers can choose between delivering one day a week, 1-2 weeks in a year, or whatever works with their schedule. All deliveries are within city limits and only Monday-Friday. Youth are welcome to volunteer during their summer and holiday breaks. If you are interested in volunteering your time, please contact Andrea Lingl at (507) 828-8641 or call the Sunrise Village at (507) 348-8620. Beginning January 4, 2018, the Jasper City Office will remain open until 5:00 p.m. on Thursdays. 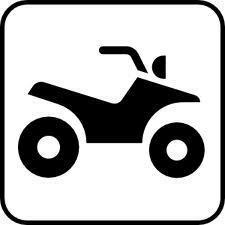 2018 ATV Permits are available at the City Office & are REQUIRED to ride on city streets. Permits cost $10 and are good through December 31, 2018. You will need to provide your drivers license number, Vehicle ID number & DNR ID number in order to get the permit. This information is forwarded to the Sheriff’s Dept. NO DIRT BIKES or GO CARTS CAN BE DRIVEN IN TOWN; those vehicles must be placed on a trailer & ridden only on private property out of town-not city property! 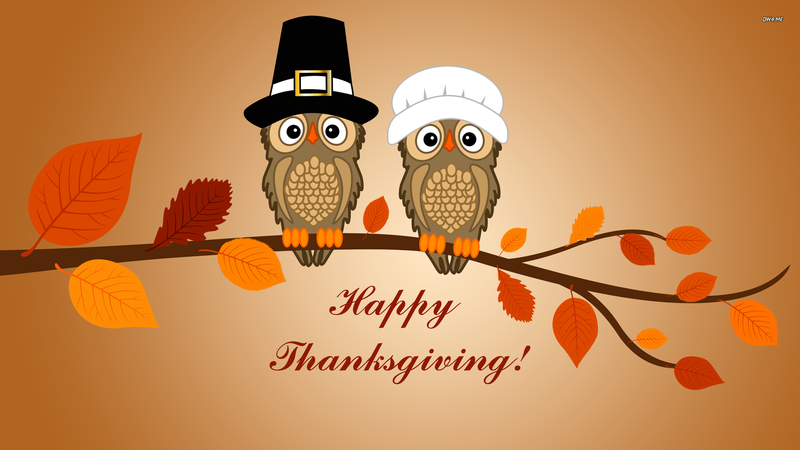 The Jasper City Office will be closed on Thursday, November 23 in celebration of the Thanksgiving holiday. Garbage pickup will be on Friday, November 24. Leaf collection is now over for the year and will resume again in the Fall of 2018. If you have leaves remaining on your property, you still have an option. Residents can haul their leaves to the yard waste site located near the ballfields. Stop in the City Office for a key. 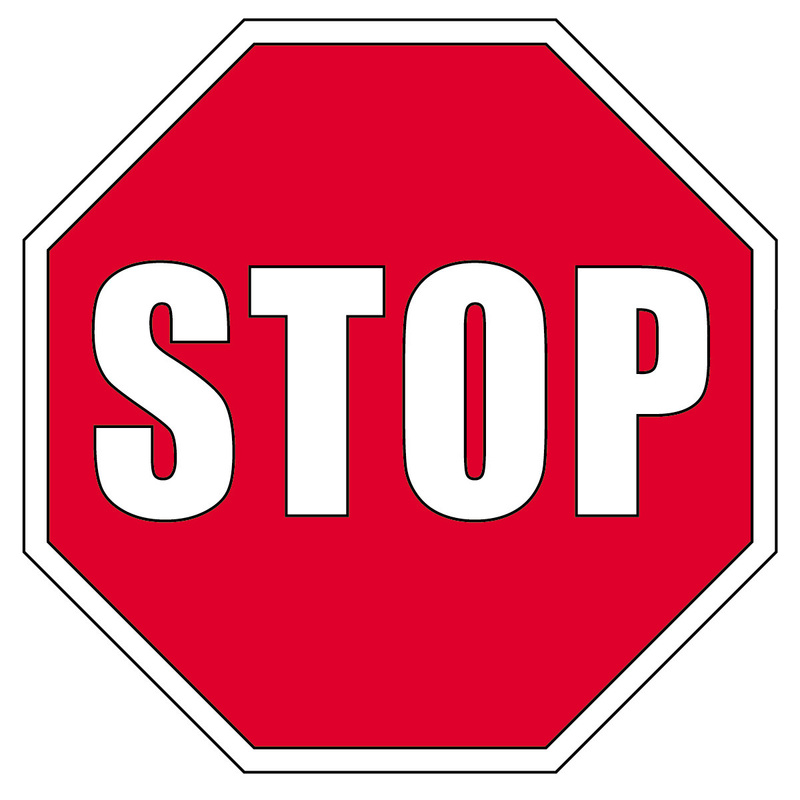 Please be aware when driving east or west on 2nd Street you must now stop at the Hill Avenue intersection. Watch for signs and obey the law. 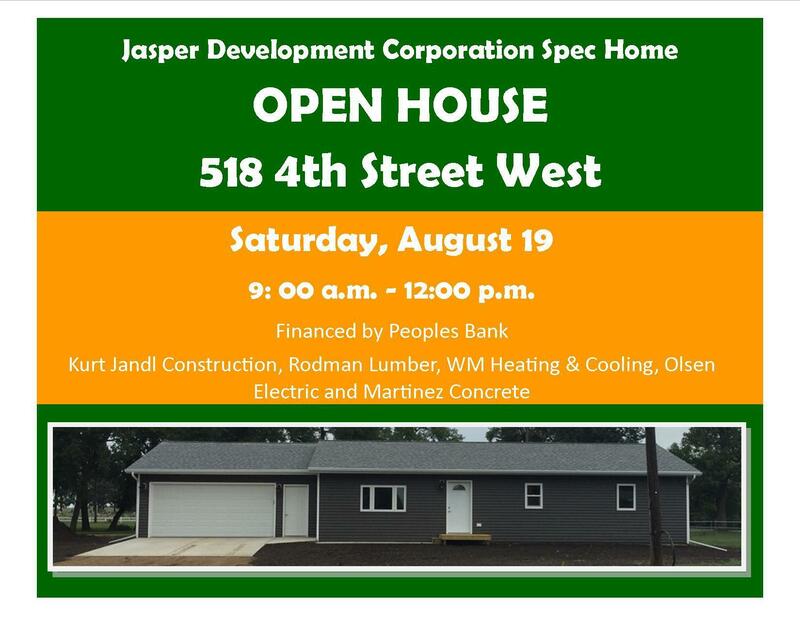 OPEN HOUSE for the Jasper Development Corporation Spec Home on Saturday, August 19 from 9:00 a.m. to 12:00 p.m. 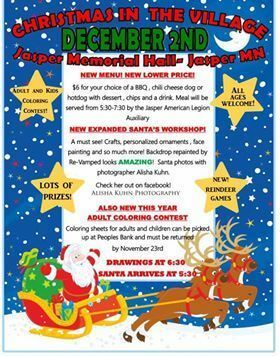 The Jasper Ambulance Association will be holding a Fundraiser on Saturday, August 19th from 5:00 p.m. to 7:00 p.m. at the Jasper Memorial Hall. Menu includes: Pork Loin Sandwiches, Buns, Potato Salad, Beans, Applesauce, Ice Cream, Pop & Water. 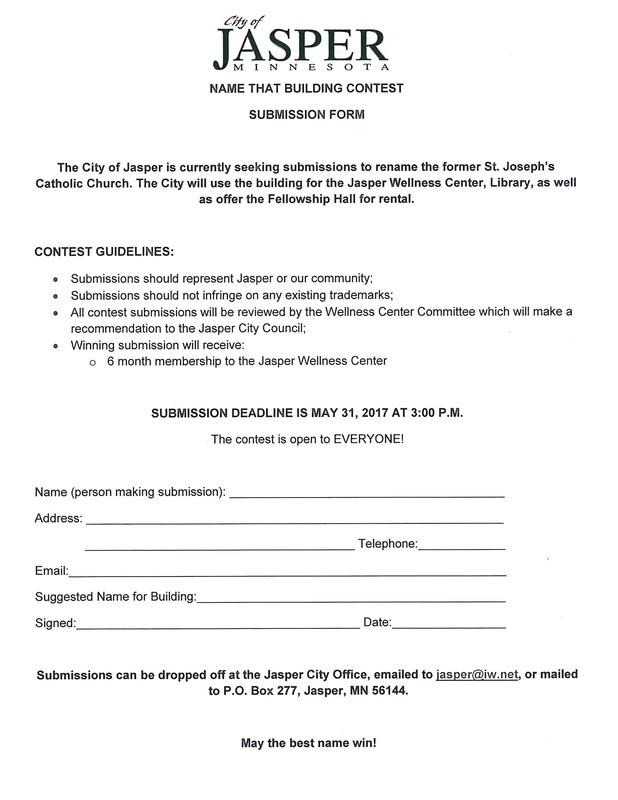 The City of Jasper is looking for volunteers to help relocate the Wellness Center starting Tuesday, June 27. 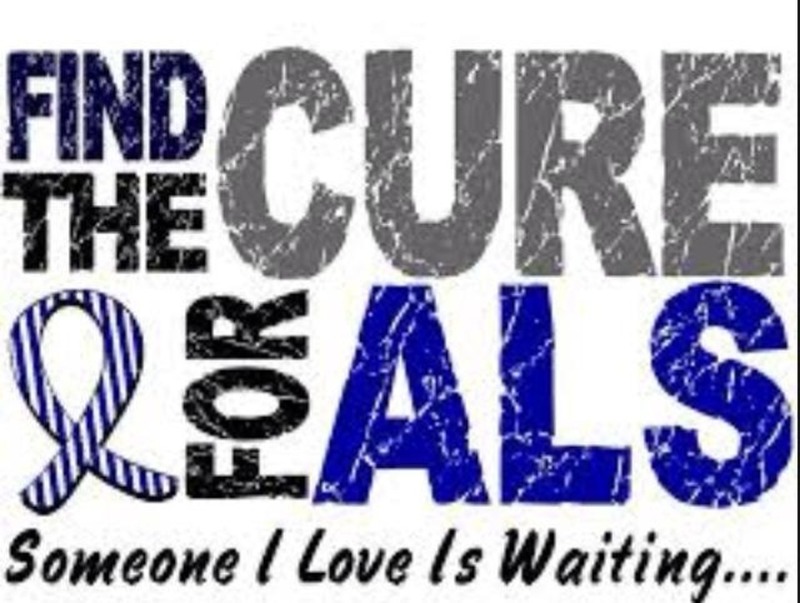 If you would like to help, please meet at the Wellness Center at 10 a.m. tomorrow. The Jasper Quartziter Club is looking for volunteers to head the Bean Bag Tournament during Quartziter Days on July 22. 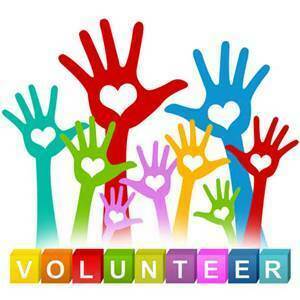 If you would be interested in volunteering your time, please call Maggie at (605) 553-1160 for more details. You may start placing junk at the curb now-in separate piles until 5 AM on Friday, May 12. If piles are mixed up, NONE of the junk will be removed! Come to the City office if you have an appliance that needs to be paid for ($15) & picked up. Also pay in advance for tire pickup, $3 each for car or pickup tires, $12-22 for larger tires, depending on size, $25 per mattress (box spring, hide-a-bed, etc). Help us rename the former Catholic Church! Submission forms are available at the City Office, Wellness Center & Peoples Bank. Contest is open until May 31, 2017. May the best name win! 2017 City of Jasper Board of Appeal & Equalization, Thursday, April 27, 2017 at 7 pm in the Jasper City Office Council Room. Rock & Pipestone County Auditors will be here. If you believe your property value or classification are incorrect for your property taxes, please attend. April 17 through April 21, 2017 marks the Annual Spring Severe Weather Awareness Week in Minnesota with the statewide tornado drill scheduled for Thursday, April 20. There will be two drills on Thursday, the first is at 1:45 p.m. and the second is at 6:45 p.m. This annual event is designated to remind individuals, families, businesses and institutions that it is essential to plan ahead for Minnesota's severe spring and summer weather. 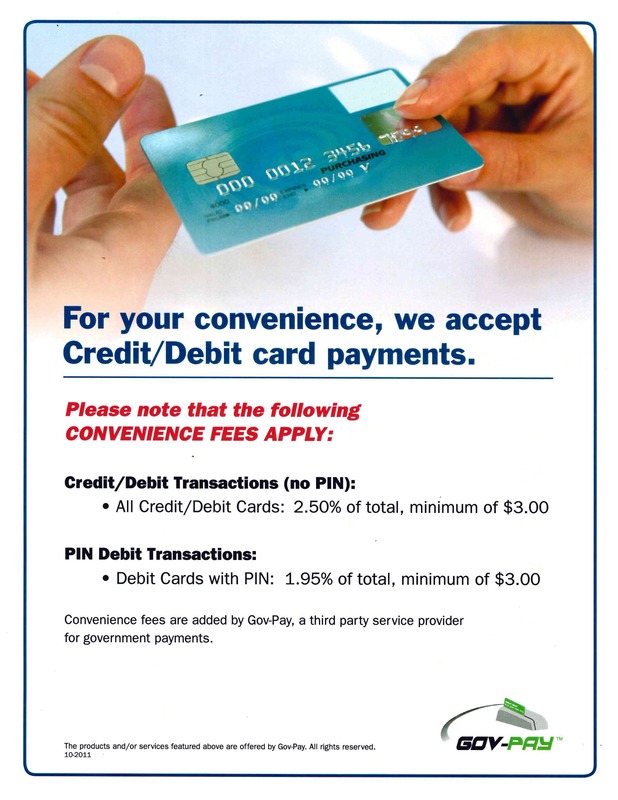 We are happy to announce that we now accept credit/debit cards for your SWG bills, Wellness Center memberships, building permits, etc. We know that preparing events and special projects can be both challenging and time consuming. We are therefore doing our best to make our process efficient and more convenient. We now accept Visa, Discover, American Express and MasterCard. Convenience fees do apply. Any Interest in a Preschool Program? Pipestone Area Schools has shown interest in expanding their preschool program this fall to include classes in Jasper. We are attempting to obtain interest from the area before a decision is made. If you would be interested in the program for your 3 or 4 year old, contact Cortney at (507) 348-3701 or jasper@iw.net. 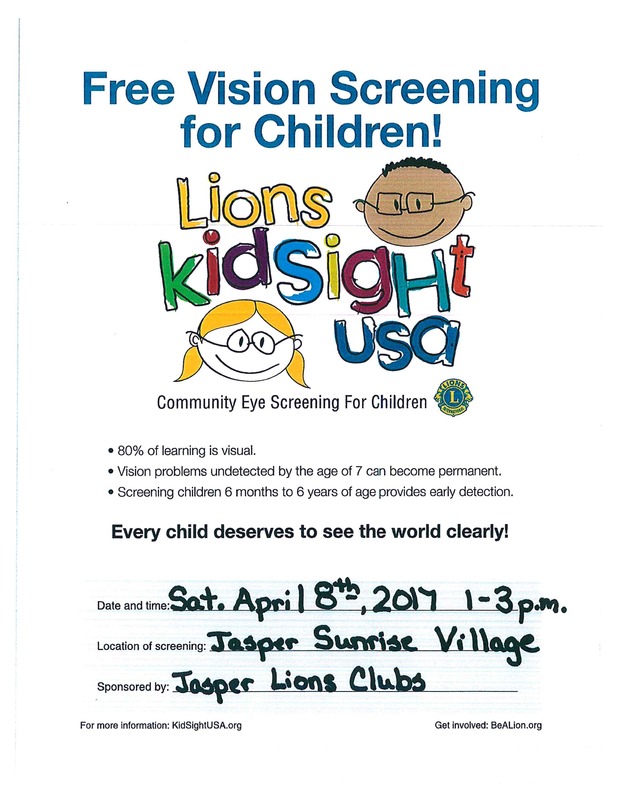 FREE Vision Screening for Children! Giving blood will change lives, starting with your own. Certainly patients need donated blood to live, but do you realize the benefits that YOU personally receive when you give? * A blood pressure, pulse, iron count, temperature and cholesterol check-up every time you donate. * A lower risk of heart attack and stroke, when you give regularly. *Assurance that blood will be there when you or your loved ones need it most. YOU DON'T HAVE TO BE A SUPER HERO TO GIVE BLOOD...YOU'LL JUST FEEL LIKE ONE! 2017 Animal Tags are available for purchase at the City Office. Please bring a copy of your pet's current vaccination record. 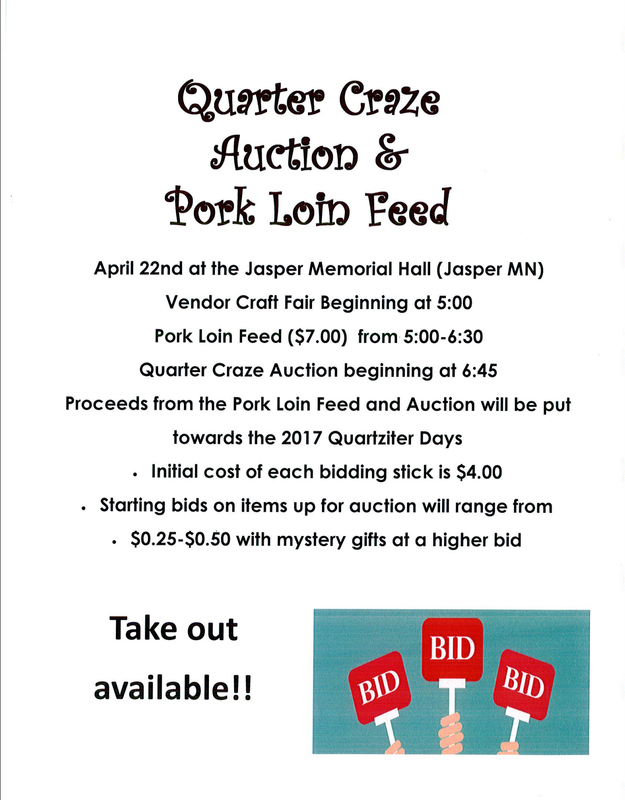 Mark your calendars for the Quarter Craze Auction & Pork Loin Feed! All proceeds will go towards the 2017 Quartziter Days! The Jasper City Office will be CLOSED on Monday, February 20, 2017 in observance of Presidents Day. Garbage collection & recycling will remain on schedule. The regularly scheduled Jasper City Council meeting for Tuesday, February 14, 2017 has been rescheduled for Tuesday, February 21, 2017 @ 7:00 p.m. The public is invited to attend! Jasper Quartziter Days are scheduled for Saturday, July 22 & Sunday, July 23, 2017! 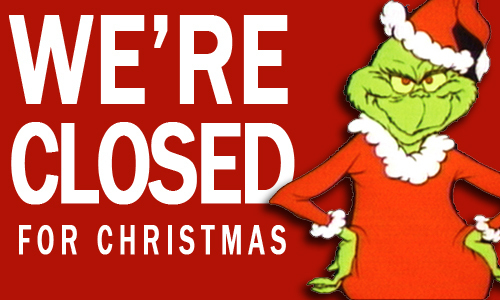 The Jasper City Office will be closed on Monday, December 26th. Please have a wonderful holiday! Attention Jasper Residents: Garbage & Recycling will remain on the same schedule despite the upcoming holidays. Please have your dumpster to the curb by 5:00 a.m. on Thursday. Recycling will be picked up on Thursday, December 29th, as scheduled. Happy Holidays! 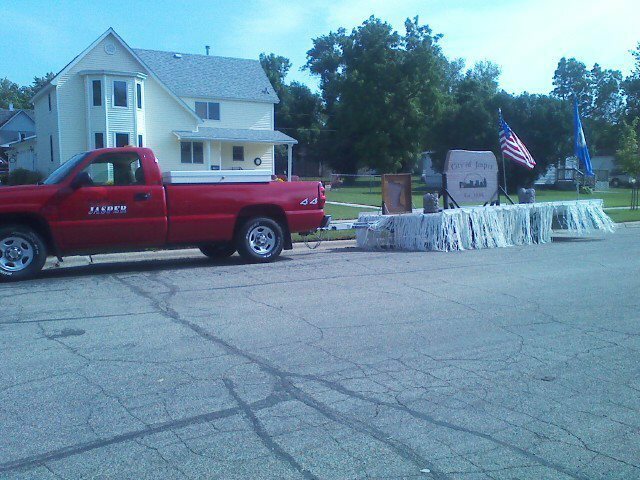 The polls are located at 101 Sherman Ave. S., Jasper, MN. The polls are open at 7:00 A.M. and will close at 8:00 P.M. The Quartziter Club will be your hosts! 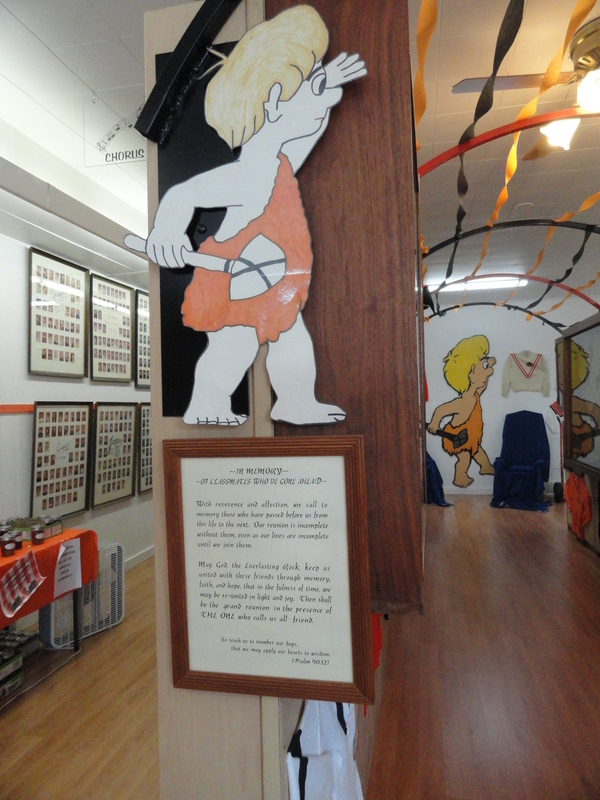 Join us for a "spooky" time on Saturday, October 29th from 11:00 a.m. to 2:00 p.m. Tons of fun activities! Jasper's Little Free Library is open for business! Located next to the City Office, readers may take a book or leave a book for others to enjoy. 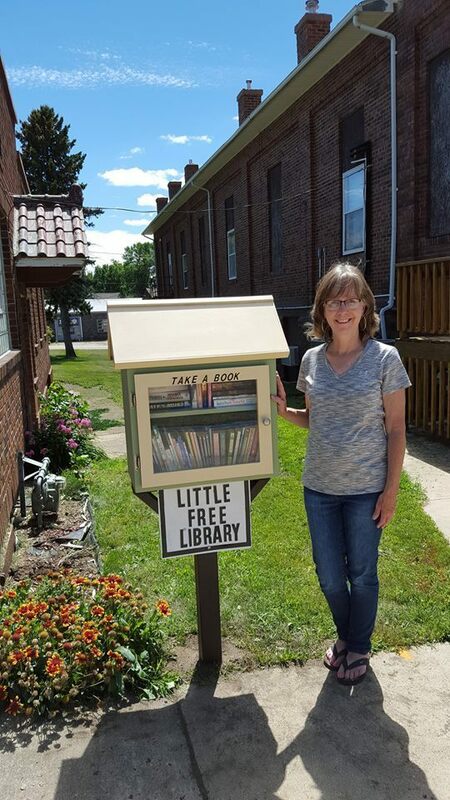 Donations for the little library may be left at the Little Free Library or at the City Office. A special thank you is also extended to Terry Peterson, rural Jasper, for the donation of the library structure, books and time spent making this installation possible. The library and your efforts are greatly appreciated! Saturday, August 6th and Sunday, August 7th. Join us for a great time! The City of Jasper is looking for people interested in becoming election judges for the upcoming General Election. If you are interested please fill out the form that is linked below and return it to the city office. If you have any questions or want to apply in person, please feel free to call or stop in the office. Filing date opens August 2, 2016 & closes August 16, 2016 @ 5:00 p.m. The Jasper City Office will be closed on Monday, July 4th in honor of Independence Day. 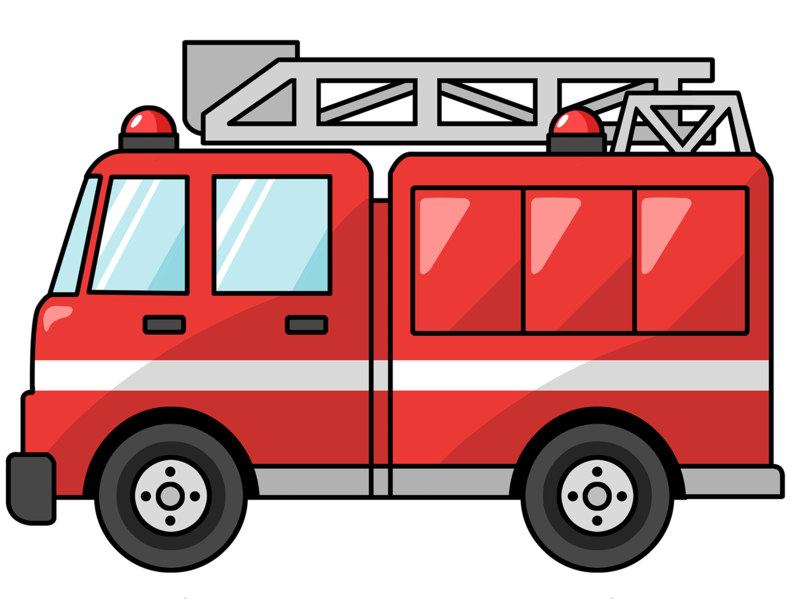 The Jasper Volunteer Fire Department Relief Association will hold their annual fundraiser on Saturday, June 18th, serving from 5:00 to 7:00 PM at Memorial Hall. Menu includes grilled hamburgers, potato salad, beans and a drink. The cost is $8 per ticket. The firemen are your protectors 24 hours a day, 365 days a year, Please plan to join them in celebrating another year of proudly serving the Jasper community! 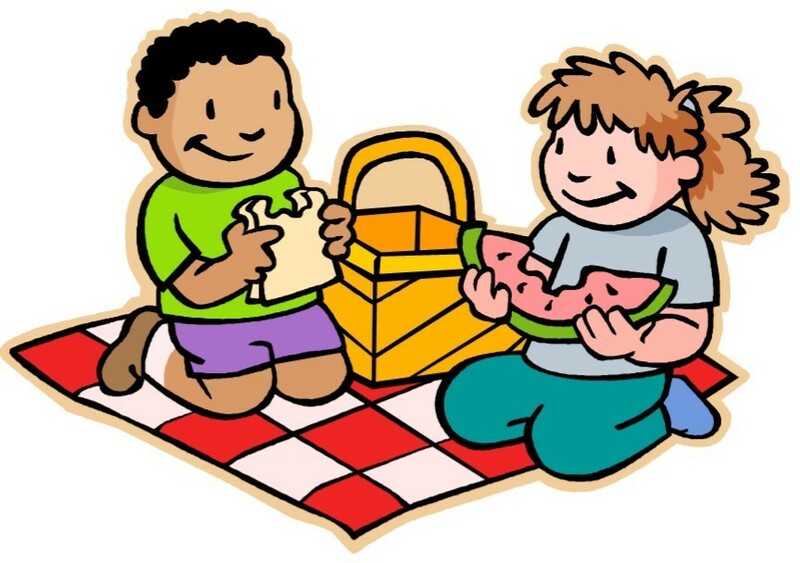 The Summer Lunch Program will be offered Monday-Friday, June 13th to July 29th at the Jasper City Park. Meals will be served from 11:30 a.m. to 12:00 p.m. to any child under the age of 18. Join them for a Nutritious Summer meal at no charge! For more information contact Cathy Rogers, Pipestone Area School at 507-562-6018. 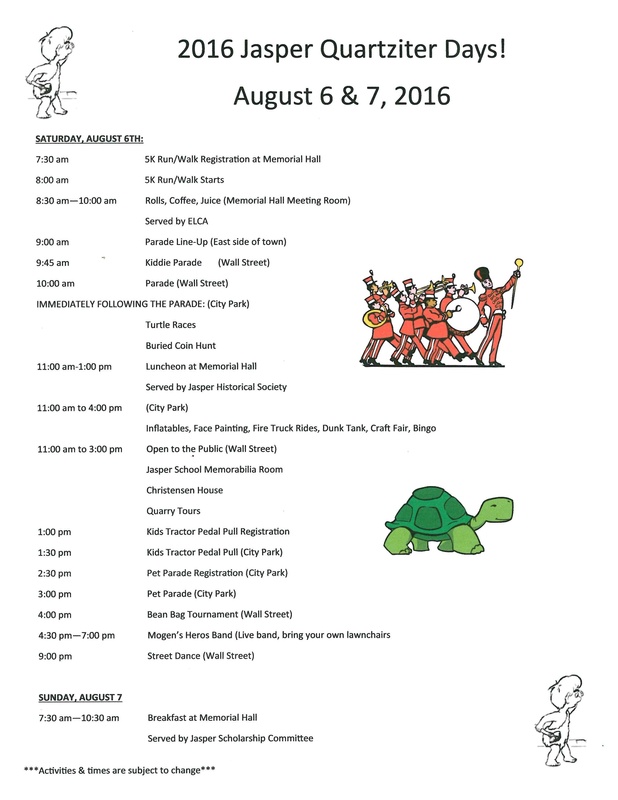 The Jasper Quartziter Club is looking for volunteers to help with this years festivities on Saturday, August 6th. If you are interested in volunteering, contact Cortney at 348-3701 or Maggie at 348-3051. No construction debris. If you have a large amount of wood there will be roll-off dumpsters set in town (4th St. E & Poorbaugh, also at 4th St. W & Sherman Ave.) for wood, windows & doors. You may start placing junk at the curb now-in separate piles until 5 AM on Friday, May 20. If piles are mixed up, NONE of the junk will be removed! Come to the City office if you have an appliance that needs to be paid for ($15) & picked up. Also pay in advance for tire pickup, $3 each for car or pickup tires, $12-22 for larger tires, depending on size. Shop local vendors, grab a bite to eat and join the auction! The Jasper City Office will be closed on Monday, February 15th in observance of President's Day. 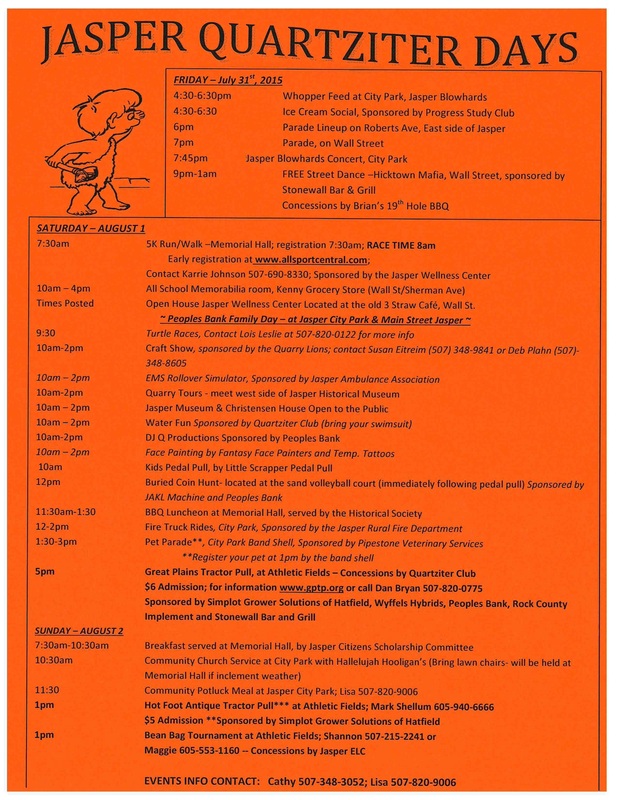 Jasper Quartziter Days have been scheduled for Saturday, August 6th & Sunday, August 7th. Change on parade time from the past...Saturday morning at 10:00 a.m. When temperatures plummet, the risk of pipes freezing increases. You can help prevent this nightmare by running a small TRICKLE of water from a faucet. With this weekends predicted temperatures, it would be a great idea to start this. It is much cheaper to run water than it is to call a plumber. Please be aware when driving east or west on 6th Street you must now stop at the Spicer Avenue intersection. Watch for signs and obey the law. Snow Alert @ 4 a.m. Tuesday, December 1st. Remove vehicles from the streets. Legion Auxilary Supper: Serving from 5p-7p. Hot turkey sandwiches or hot dogs, chips, pie and a drink. Quilt Raffle: Sponsored by the Jasper Quarry Lions. Tickets may be purchased from People's Bank in Jasper or any Lions Club member. Coloring Contest: Winners will be announced. Coloring sheets may be picked up from People's Bank. Coloring pages need to be returned to People's Bank by December 3rd. Drawings: A boys and girls bike will be given out as well as gifts and cash prizes throughout the night. Names need to be entered by 6p. Drawing starts at 6:15p. Shop the vendors for Christmas gifts! Mr. & Mrs. Claus will also be making an appearance! 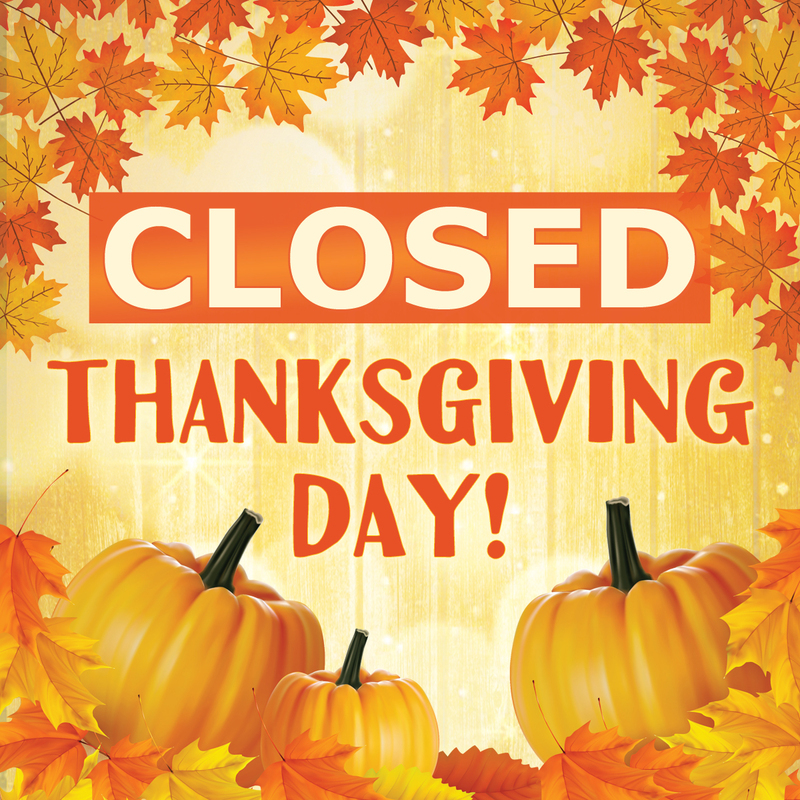 The Jasper City Office will be closed on Thursday, November 26th. We will reopen for normal business hours on Friday, November 27th. Have a Happy Thanksgiving! Find out how you can be part of a collaborative community effort to strategically plan the preservation and re-use of the old Jasper High School! Tuesday, November 24th, 2015 at 7:00 p.m.
Jasper Evangelical Lutheran Church located at 105 Spicer Ave S, Jasper MN. Do you have an idea or suggestion for the Old School? We would love to hear your input! 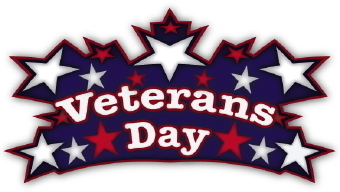 The City Office will be closed in observance of Veterans Day, Wednesday, November 11th. City offices will re-open on Thursday, November 12th for normal business hours. A Huge Thank You for all who donated food for the Pipestone County Food Shelf! There was only 200 pounds of food donated which is down from other years. If you would still like to donate food to the Pipestone County Food Shelf, please contact Duane at 507-820-1768 or the City Office at 507-348-3701 before November 9th. The Pipestone County Food Shelf is very much in need of food for those in need. With the upcoming winter, it is a very important time for the food shelf to have plenty of food available for those in need. 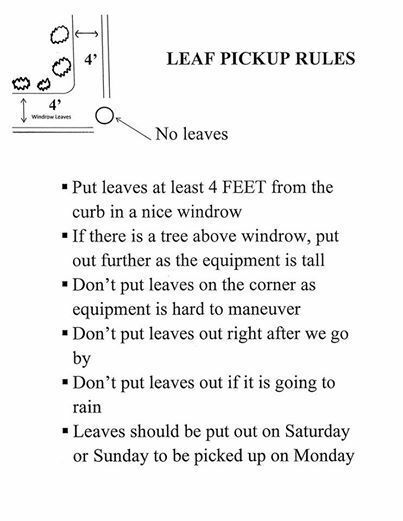 Please follow the rules so your leaves will be picked up. 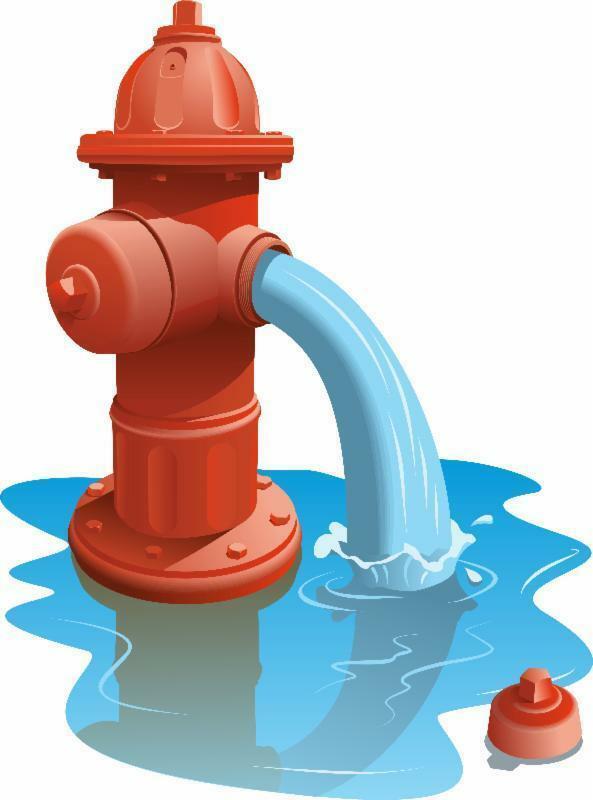 The Jasper Public Works Department will be flushing fire hydrants beginning October 13th through October 16th, during daytime hours. Annual flushing of the hydrants is necessary to provide better quality water and fire protection. Residents may experience fluctuations in pressure and/or discoloration of their water during flushing. If you experience discolored water, run your cold water tap until it clears. During periods of discoloration, postpone washing clothes and limit your use of hot water until the cold water clears. Your patience and cooperation regarding this is appreciated. It has been many years since we received the yellow recycling totes. Is yours broken, cracked or missing? If so, stop in the City Office and pick up a new one. The Jasper City Park Committee is seeking volunteers to help assess the park for future improvements. 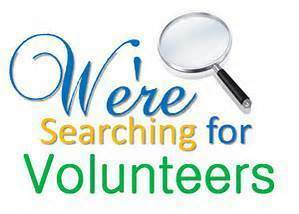 For more information or to volunteer contact Lisa @ 820-9006. 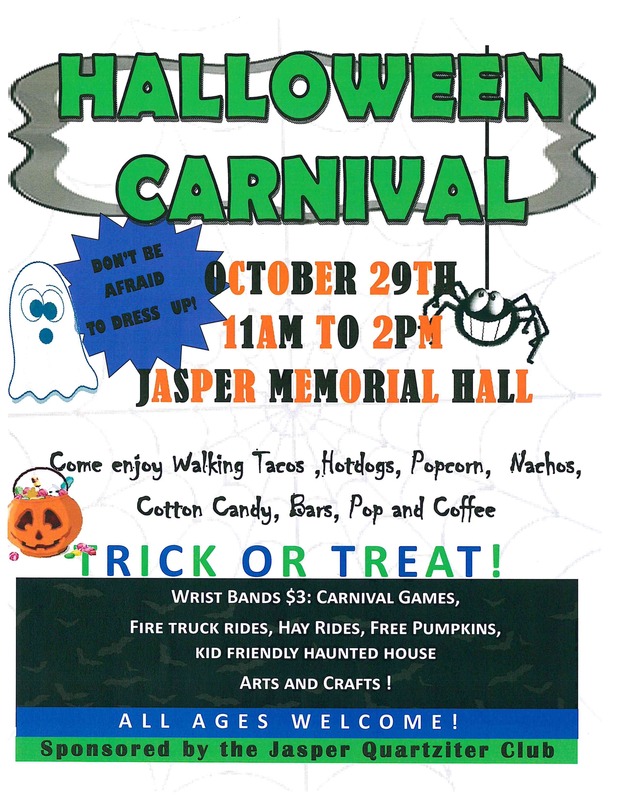 Come help us celebrate Halloween at the Halloween Carnival, Saturday, October 24th from 11:00 AM to 2:00 PM at the Jasper Memorial Hall! Costumes are welcome! The City Office will be closed in observance of Labor Day, Monday, September 7th. City offices will re-open on Tuesday, September 8th for normal business hours. 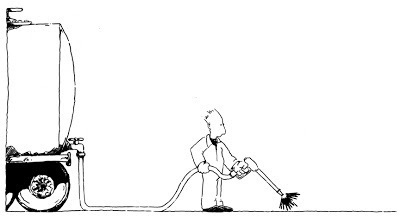 The Public Works employees will be sweeping the streets the beginning of next week to rid of the excess pea rock. Please remove vehicles until your street is completed. This weeks garbage pickup will be on Friday, August 28th. Please have your garbage bins to the curb Thursday evening. Curbside recycling will remain on Thursday, August 27th. 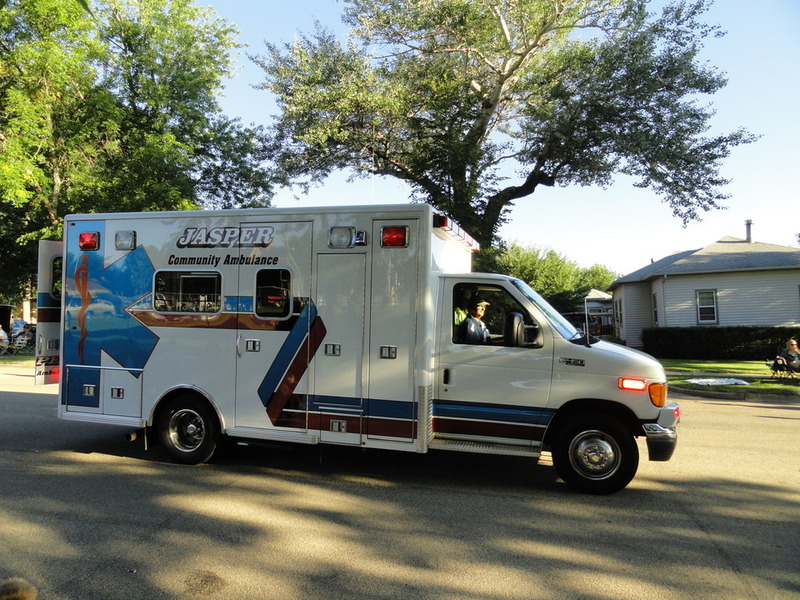 The Jasper Ambulance Association is looking for volunteers to join their team. Fall 2015 EMT classes begin Wednesday, September 2nd. For more information contact Kim at (507) 820-2341 or Cortney at (507) 348-3701. 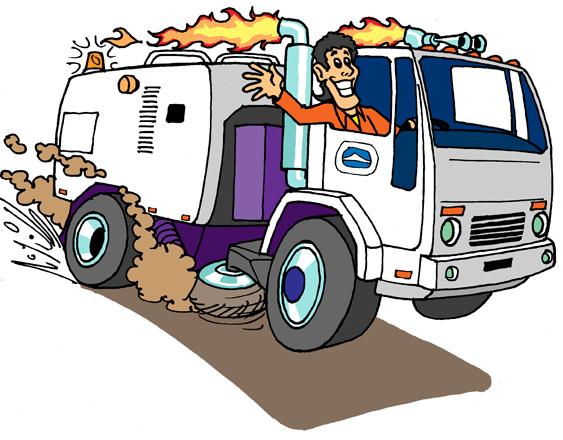 The City of Jasper will begin sealcoating the streets towards the end of the week. Please have vehicles, campers, trailers, etc. removed from the street by Thursday, August 20th. The Jasper Ambulance Association will be holding a Fundraiser & Concert on Saturday, August 15th from 5:00 p.m. to 7:00 p.m. at the Jasper Memorial Hall. Entertainment will be provided by F.R.O.G.S. Get Ready!!! 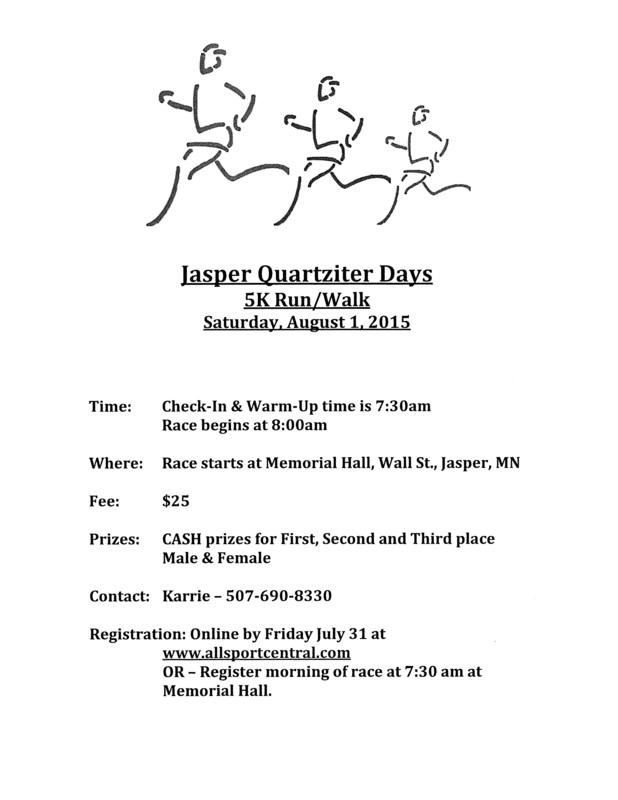 Jasper Quartziter Days begins in one week! 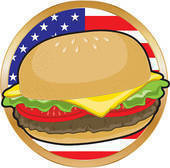 The Jasper Blowhards are sponsoring a Whopper Feed on Friday, July 31st from 4:30pm-6:30pm at the Jasper City Park. Enjoy the parade and a concert afterwards! There is a sign up sheet located at Peoples Bank to deliver meals to the Kuyper family who were injured in a bad motorcycle accident on Saturday. They were just released from the hospital and could really use the community support. More information is available at Peoples Bank. 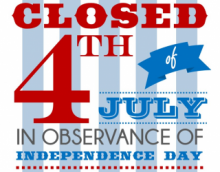 The City Office will be closed in observance of Independence Day on Friday, July 3, 2015. City offices will re-open on Monday, July 6, 2015 for normal business hours. 2nd ANNUAL "JUMP INTO SUMMER"
2nd ANNUAL "JUMP INTO SUMMER" with the Jasper Quartziter Club! Inflatables & other fun activities. $5 wristband for unlimited play, which includes slip n' slide, hula hoops, sidewalk chalk, & inflatables. Remember to bring your swimsuit! 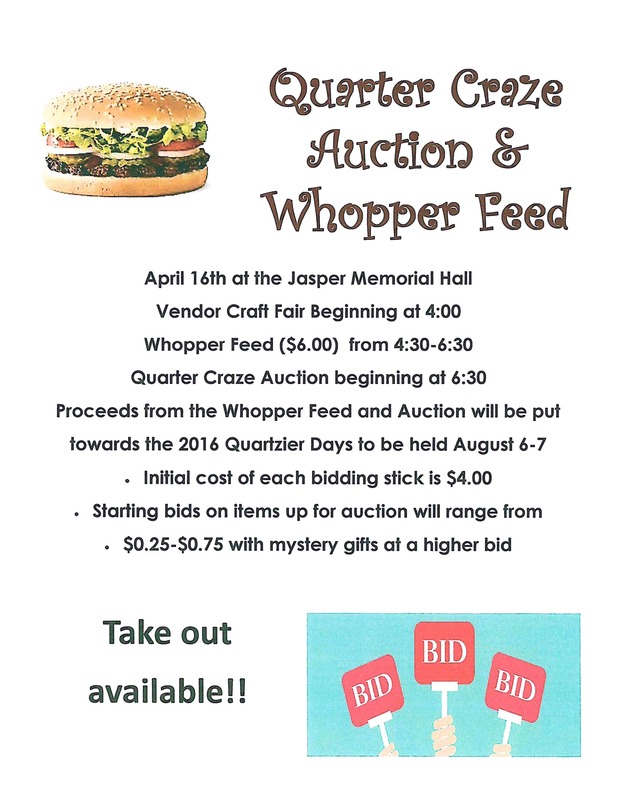 Proceeds benefit the Jasper Quartziter Club. Each Jasper Resident may receive a FREE yard waste tag by stopping into the City Office to pick it up. We are trying to encourage all residents to tidy up our city. The Pipestone Area School District will be sponsoring the Summer Food Program again this summer. Starting June 8th, children under 18 years of age are invited to come to the Jasper City Park for a free meal from 11:30 am-12:00 p.m. Monday through Friday. Menus are available at the City Office. Tonight's City Council Meeting will be postponed until next Tuesday, May 19 @ 7:00 p.m. out of respect for everyone involved in yesterday's tragic fire. All (new & old) are invited to join the Jasper Blowhards Community Band. Practice is at 7:00 p.m. Wednesday, May 13th & May 20th in the Memorial Hall Meeting Room. Hope to see you there! 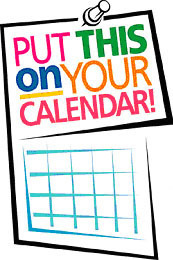 The March meeting will be held on Tuesday March 3rd at 7:00pm Thank you. 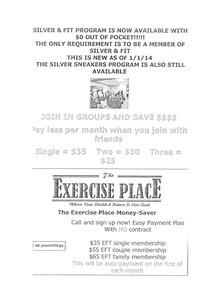 You can sign up at People Bank. Time of snow fall in relationship to heavy use of streets. Snow & ice control are expensive and involve the use of limited personnel and equipment. Consequently, snowplowing operations will not generally be conducted for snowfall of less that 2 inches… from City of Jasper Snow/ice Maintenance Policy. Our city crew tries to get out VERY EARLY in the morning in order to have the streets cleared for everyone’s convenience, but we need everyone’s cooperation. To avoid a violation/ticket (defined in Ordinance No. 83) we suggest that you find off-street parking for your vehicle. Vehicles in violation will be ticketed and subject to towing. You may park in your driveway, on the boulevard, a convenient place on your property, or-with permission-on a neighbor’s property. It is very important to listen to the weatherman. When he is talking about bad weather, please use off-street parking. Once the snow is cleared, you may again park on the street. The only exception to the ordinance would be for those items that it will be impossible to have all the snow removed on Wall St. before businesses are open. When this is the case, the Public Works Department asks that customers, park parallel to the curb rather that diagonal to the curb until all the snow is plowed and removed. We appreciate your cooperation! Obeying these regulations will not only allow for better snow removal, but save taxpayers dollars. It will make City snow removal a safer and better operation. Let’s give our Public Works Department a chance to do their job, excellent job of snow removal! Everyone will be happier in the long run. *********CITY CODE SECTION 8.09: Subd. 1: It is unlawful for any person to stop, park or leave any vehicle upon any street for a continuous period of twenty-four (24) hours! City Code is all year long! Please follow the brush site rules. Allowable Items: brush, leaves, tree limbs, grass clippings, and compostable garden items. Separate your items and place in the brush or compost pile. DO NOT start a fire. Burning is allowed by City employees only! DO NOT leave plastic bags or boxes used to transport items to the brush site. DO NOT leave trash or garbage at the brush site. DO NOT leave lumber or burnable building or remodeling materials. These items need to go to the county dump site. DO NOT leave metal or other unusable items like bicycles. These items need to go to the county dump site or be recycled at another location. Violations put the City at risk of losing the license to operate a brush site/burn site. Violators will be prosecuted to the fullest extent of the law. Fines of up to $100 will be imposed.